In yet another example of a franchise that refuses to die here comes the 11th Halloween film, and while it’s not brilliant or terribly clever it is certainly good enough and scary enough to make up for some of the more awful sequels in the series (Halloween H20, anyone?). Jamie Lee Curtis returns as Laurie Strode. Forty years on from the original mayhem, she’s now all haggard, armed up and living alone, eager to wreak revenge on her teenager tormentor Michael Myers, who has managed to escape from incarceration and wants to finish her off. With her daughter and grand-daughter now also under threat, Laurie has much more at stake. Following the old-school cue of creator John Carpenter (a producer alongside Curtis), the film is shot and directed by David Gordon Green without any modish self-referencing or irony. It’s a good, solid horror thriller. 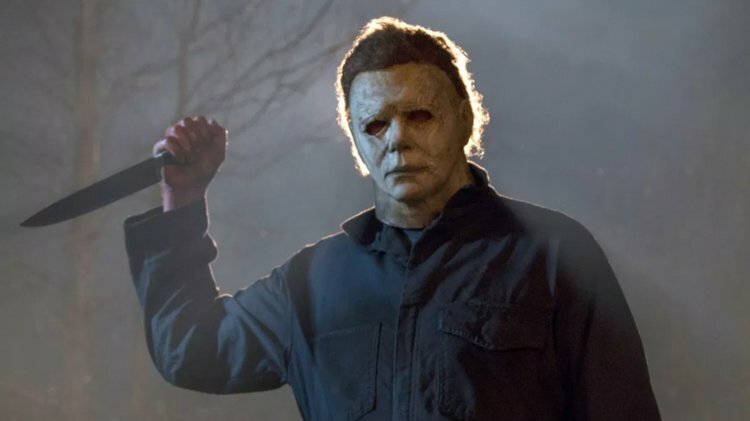 If, however, you’d like to go beyond horror and turn the film into a blistering social commentary – and possibly a black comedy – do what some rather progressive viewers are doing and try imposing a #metoo reading onto the film, with the three women representing threatened womanhood and Michael Myers embodying toxic masculinity. It’s an interesting exercise. The film has been a smash hit already in the US, so why not make the point yet again about the incredibly attractive economics of the horror genre. Halloween cost about $US10 million to make, and has thus far taken about $US107 million worldwide. Sweet numbers like that pretty much guarantee that even if you saw Michael Myers fall into a river of lava at the end of a Halloween film, his resurrection for yet another lucrative, low-overhead sequel would be assured. Featuring teens who are teetering on the bottom rung of Australian society, Backtrack Boys is an excellent feature-length documentary by Catherine Scott detailing an Outback program that tries getting delinquent youths back on track with the use of dog training. Eager to keep kids from falling into the cycle of incarceration, the film follows the efforts of Bernie Shakeshaft to channel wayward juvenile energy into something creative and rewarding, though it doesn’t always work. Developing the story smoothly, Scott goes beyond the dog program to look closely at the troubled lives of a few select boys, each of whom are on the verge of either starting bright new lives or slipping into the abyss of petty crim and alcohol abuse. She maintains a raw, honest edge that sometimes has you wondering just how much real hope some of these teens have, even when they try. The plight of one potty-mouthed lad, Rusty, is especially affecting, with one nerve-wracking scene pitting his future against the grind of a harsh judicial system. Backtrack Boys really is a remarkable film, and like most local movies, it has tip-toed into cinemas with almost no fanfare. Rising Aussie actor Brandon Thwaites (Pirates; Son of a Gun) puts in a feisty performance in this worthy, wordy faith-based film. Thwaites plays Paul Asher, a young journalist back from Afghanistan who is trying to cope with a failing marriage. He meets up for a series of interviews with an elderly gent (David Strathairn) who casually introduces himself as God, and then engages him in lengthy discussions about free will, faith, forgiveness and why bad things happen to good people. Burning through a thick layer of cynicism, Thwaites infuses the film’s outlandish premise with an earthiness and desperation as he tries keeping his life from spinning out of control. Not a bad film, this, though it is, after all, a sermon at heart. Still, these these low-budget Christian films work, and tend to be released quietly while drawing a very specific and sizable audience. Example: we recently saw Sam Worthington in the faith-based movie The Shack, which similarly sought to deal with big issues through a spiritual lens. It took just over $100 million. The long, slow torture of watching a child suffer from crystal meth addiction is dramatised in unflinching detail in Beautiful Boy, a well-meaning cautionary tale with very good intentions and almost no sense of pace. As the upper-middle class father, Steve Carell puts in a convincingly sanguine performance, administering tough love to his aimless son, played with anemic melancholy by Timothee Chalamet. Directed by Belgian Felix Van Groeningen, who co-wrote the screenplay with Australian Luke Davies (Candy; Lion), the film has some poignant moments where the family rises above the crisis, but the piece is very long and overwhelmingly glum. A skeptic of paranormal phenomena is challenged to investigate three cases of the allegedly supernatural and explain them away rationally. A few fleeting moments of well-directed tension in the first yarn about a nightwatchman can’t make-up for the copy-cat contrivances of the rest of the film. Martin Freeman (The Office) stars alongside Andy Nyman, who wrote and directed this with Jeremy Dyson, based on their 2010 play. Strictly for the easily spooked. There are some neat, inventive scares in this cheeky, far-superior sequel. On the eve of Halloween two mischievous kids rummage through an abandoned house and uncover an old-style ventriloquist’s dummy, the latest in a long line of horror-movie dummies going back to 1945’s Dead of Night. After a few obvious sight gags they twig that the dummy is, of course, inhabited by a malicious spirit that wants nothing more than to help make their lives easier by, say, taking care of their bullying problem. All the doll asks for in return is to be part of the family.